Your Tactical Strategy Guide For Finding & Maintaining A Discreet Affair! If you have had an affair and are trying everything to keep it from your spouse, you are in a lot of trouble if you have a vengeful mistress. Women can be very vicious creatures, especially if they feel taken advantage of. Even if you feel like you did the right thing, your mistress may not. Keeping the secret from your wife may not be as easy as you hope. Many women who have been hurt will stop at nothing to strike and hurt back. There are some things that you can try to head up your mistress’s attack to ruin your livelihood. There is no guarantee that these will work, but you have no other choice. As of yet, they have not invented a time machine. Try these things to get your ex-mistress to show some compassion before you have to move in and break the news to your wife yourself. If you hurt the feelings of a woman the best thing you can do is say you are sorry. 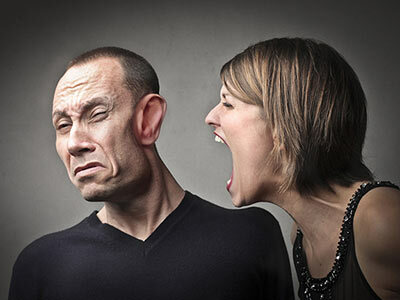 The problem most men have is that instead of just saying they apologize for what they did, they spend time trying to convince a woman that they have no right to be mad. Regardless if you think you did anything or not, she does. The only way to save face with a woman who thinks you wronged her is to acknowledge that you did something wrong to hurt her feelings. If you tell her that you were wrong and that you did things you aren’t proud of, she may take mercy on you. She may hate you, but she probably has no ill feelings toward your wife. Try to appeal to her womanly side and explain to her that if she outs you to your wife the only thing she is going to accomplish is to leave a wake of hurt for your family. If you admit that you are jerk and that what you did was awful, but try to get her to empathize with your wife and kids, you may get her to back down without doing anything to harm your life. If she is at all worried about what not only you, but she did, to hurt someone who is an innocent bystander, she may forget about hurting you and put your family first. Even if you didn’t, she may. There must be something that she wants. If she always wanted something from you, now is the time to offer it up. If you can’t continue to give her of yourself maybe you can strike a deal with her to keep her quiet. There are things that you can buy, or give to people that can take the place of the feelings that she may have for you. There is bound to be something she wants enough that will keep her quiet. Be careful though, if you make it sound like you are paying her off, she may get more mad. Tell her you want to make things right because you feel bad about what happened. If you pose it any other way you can make more trouble for yourself. The thing about women is that once they fall in love again, you will be old news. If you know of someone who has always thought she was hot, now is the time to fix her up. Don’t make her aware of what is going on, but try to find a new love interest for her. She will be so into her new relationship she will forget about how horrible you were. Finding love repairs the hurt from old loves. Do what you can to fix her up and make her someone else’s problem to deal with. If all else fails, beg. If you are just honest with her and ask that she not destroy your life, she may see the human side to you again. No matter what you have done to piss her off so much, there was a time when she loved you. Try to invoke just enough of that love that she will pity you and move on without hurting other people in your life.